The very nature of evil is when we presume our own selves to have more value than anyone else’s. It is this force that convinces us that we are more important than our neighbor, more important than God. It is this force which compels us to believe that our own desires trump love, peace, and justice. It is this force that tells us our value is negotiable, and it is up to us alone to protect and defend that value. This is what we have witnessed with alarming severity in the last several months. The events in Charlottesville, the church shooting in Antioch, TN, and the horrific news of the mass shooting in Las Vegas all leave us with the unanswerable question: Why? There is no definitive answer to the “why” of white supremacy, racism, and death literally raining down upon the heads of innocent people. There is no sufficient answer to “how long, O Lord?” as we watch the daily manifestation of evil, in all of its forms, threaten the safety of innocent people. As artist and activist Judy Baca said, “The earth herself is literally protesting the evils we have done to her.” Mountains are crumbling, oceans are swirling, winds are destroying. Even the stones are crying out in protest to the ways in which we, all of humankind, have seen ourselves as more important than the Other – the earth, our neighbors, the next generations, God Almighty. The nature of evil is what compels us towards death. Evil’s duty is to move away from light and truth, and marches those in its grasp firmly by the ear towards the ever-enveloping chasm of loss. It is powerful, convincing, and all too often… inarguable. If we are promised that Jesus is the Way, the Truth, and the Life, then Evil is the exact opposite of this. Evil, literally, is the Anti-Christ. Evil is the wrong way, a bitter liar, and the manifestation of death. My own cynicism in the face of evil’s rise is, itself, a form of evil’s power over me. I listen to the words of people saying, “God is with the brokenhearted,” and I feel anger churn in my belly as I doubt the sincerity of the speaker. My own cynicism leads me to feel unmoved by prayers or the use of scripture. These prayers may be heartfelt - who am I to know otherwise - but the omission of deep truth in the sentiments fuels my indignation. This is evil, manifesting itself in me. And, for this, I am sorry, and I confess how wrong it is. So, what do we do? How do we respond in the face of evil? There’s no better response, given that I have just told them that in order to proceed with the beautiful sacrament of baptism, which offers a beautiful encounter with God’s grace, we need to know that they defiantly renounce the forces of wickedness and evil in the world, and in their own lives. What a radical thing baptism is. This is no pleasant photo-op, with generations smiling around a squalling and confused infant. I know that “remember your baptism” doesn’t initially feel like a sufficient response to mass shootings, natural disasters, or the rise in white supremacy. But, my friends: what if it is? What if, in remembering our own baptisms, we remember that we ourselves possess the power to reject evil in this world, in all the forms in which it presents itself? What if, in remembering our own baptisms, we remember that we have the power to fight each and every manifestation of wickedness? Think of what we can do if we remember our baptisms and the day in which these promises were made on our behalf? It means that God has granted us the power, dignity, and ability to stand up for what is good, to serve as good stewards to creation, to love our neighbors. Friends, we can pray. We will pray. We are praying. God Almighty, have mercy on each of us. But, we can't wait any longer to DO something. 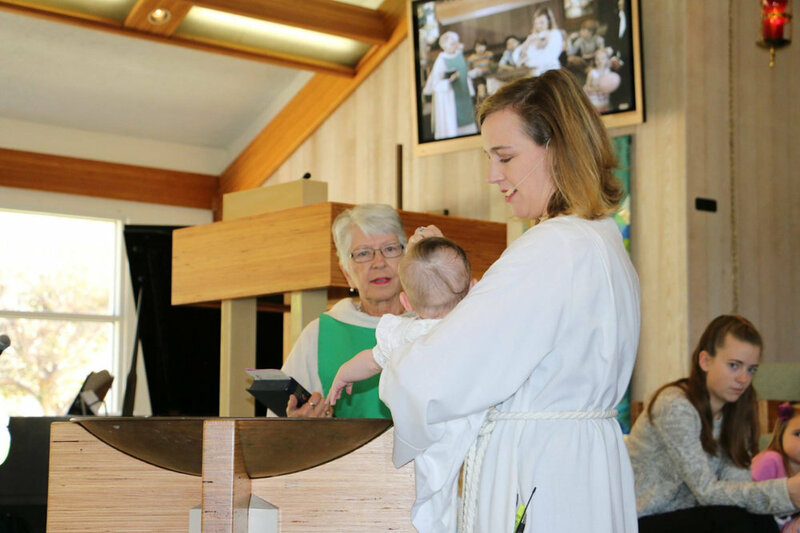 So, start with remembering your baptism – return to the beauty and grace of that moment, the good intentions that God has for the unfolding of your life, and work from there. Pray for what your next steps can be, as one empowered to tell even Death itself that it has no power. Today is not a day to let evil win, and if we give up, it will. This is why God called us to be the church: because we can be the light which shines in the darkness, and the darkness will never, ever overcome it.